Marlton, NJ – Samaritan Healthcare & Hospice announced new members named to the not-for-profit organization’s 19-member Board of Trustees. The newly appointed members are: Stephanie Fendrick, FACHE, Philip W. Heath, MS, and Susan Elizabeth Lehrman, Ph.D.
Stephanie Fendrick, FACHE, a Voorhees resident, is the Senior Vice President and Chief Strategy Officer at Virtua. She received her Bachelor of Arts degree at Franklin and Marshall College and earned a Master of Business Administration with a concentration in health services from the Fuqua School of Business at Duke University. Philip W. Heath, MS, a Hainesport resident, is the Chief Administrative Officer at Tabula Rasa Healthcare. 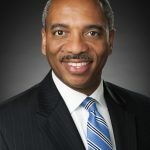 He received his Bachelor of Arts degree from Morehouse College and earned a Master of Science in Health Services Administration from the University of Detroit Mercy. 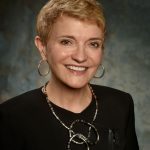 Susan Elizabeth Lehrman, Ph.D., a Cherry Hill resident, is the Dean of the Rohrer College of Business at Rowan University. She earned her Master of Public Health and Doctorate from the University of California at Berkley.